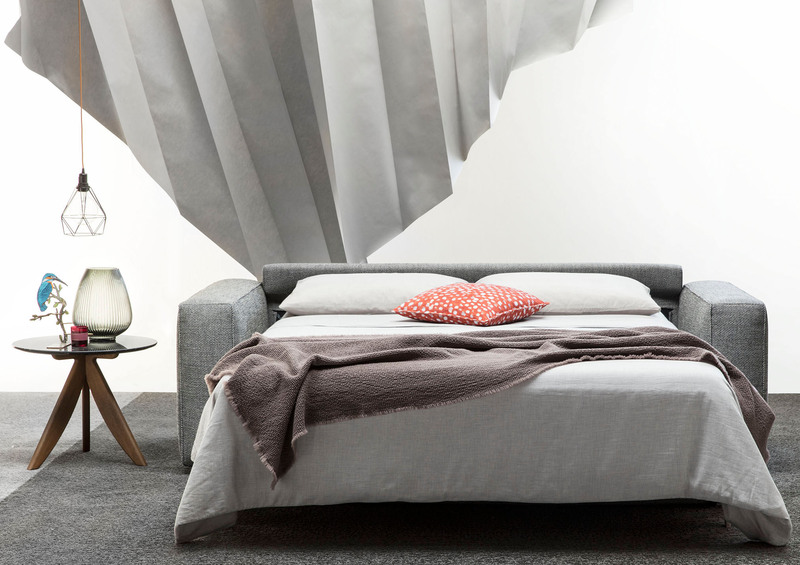 A relaxing guide for choosing a mattress for the BertO sofa bed. The BertO collection of made-to-measure sofa beds is different not only for the design but also for the incredible comfort that has nothing to envy of “real sofas”. And for a good night’s sleep? 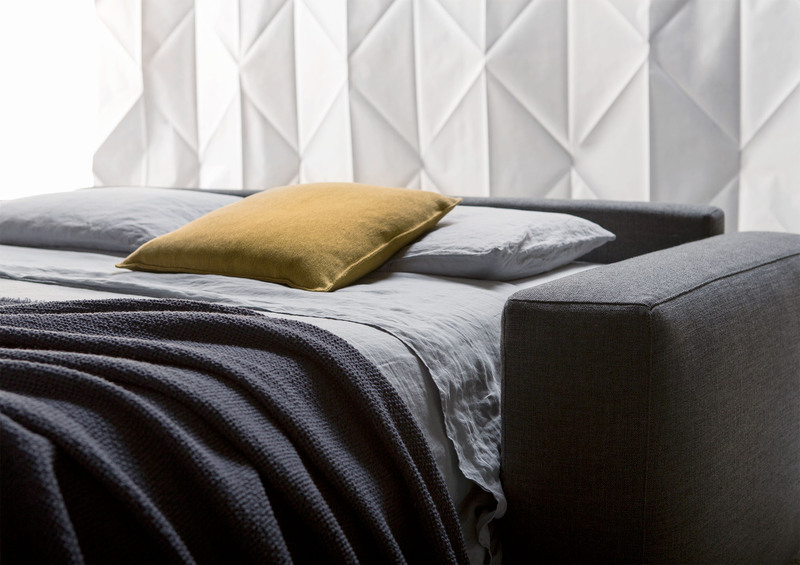 As well as an electro-welded base or a base with beechwood slats, we are happy to offer mattresses which will satisfy your every need, proposing that which offers you the greatest comfort. 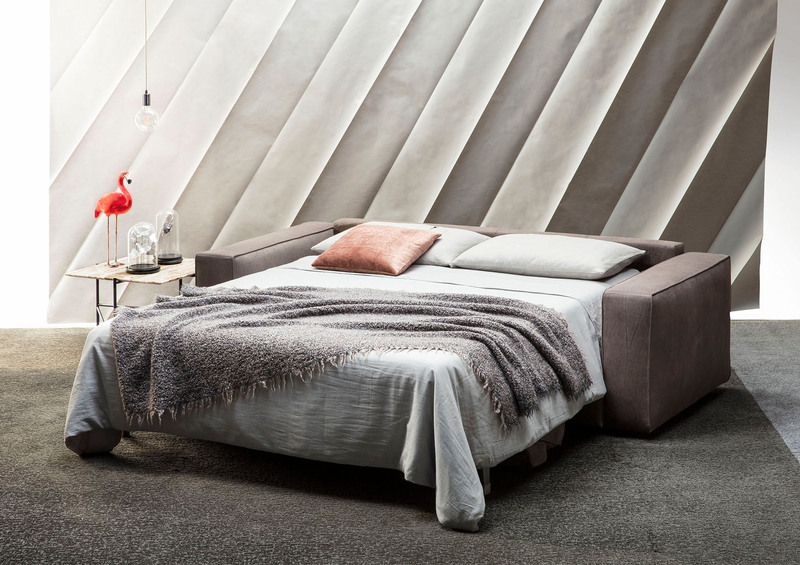 Here is a short guide to help you choose a mattress for your sofa bed. – spring mattress for your sofa bed: considered the standard, the evergreen, the timeless solution, it measures H.14 cm and has differentiated compression according to the weight of the body, sufficient to guarantee you sweet dreams every night. It is produced with spring suspension in tempered steel and is padded with 100% hypo-allergenic material. – mattress for sofa bed in polyurethane foam: H.11 cm, extremely comfortable, practical and particularly suitable for those who often leave the bed open (less suitable for those who only use it occasionally leaving the mattress closed and compressed for longer periods). –mattress for sofa bed in poly-latex with completely removable cover: H.12 cm, indicated for those who prefer a more rigid surface. It is produced with an ecological polyurethane foam made by mixing water and highly technological polymers which contain 5% of lattice giving exceptional elasticity not present in standard polyurethanes. It is the most suitable mattress for sofa beds which are opened frequently and it has completely removable covers. –a pocket spring mattress for sofa beds: H.12 cm, the single springs compress in relation to the weight of the body creating an ergonomic effect which guarantees a correct position for a relaxing night’s sleep. It is formed of springs with a diameter of 1.8 mm, each pocketed individually. 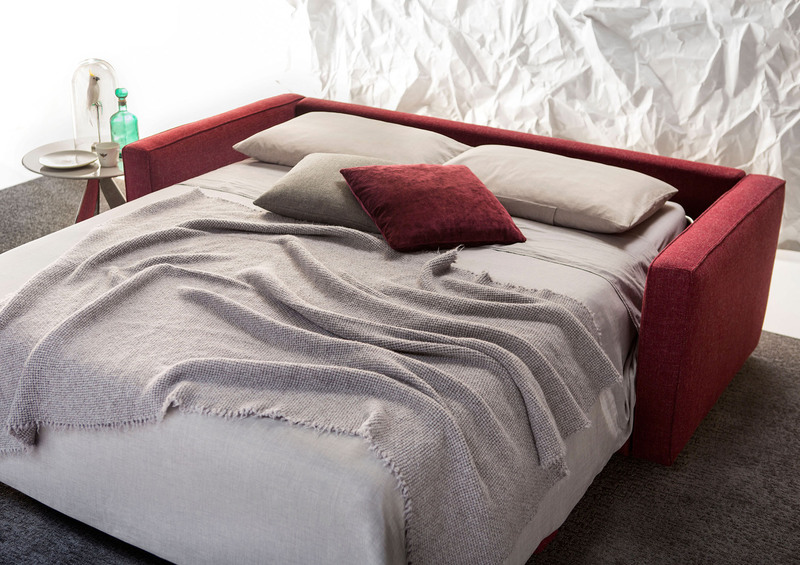 It is upholstered in terry cloth containing 3% of antibacterial SILVER fibres. Particularly indicated for daily use. 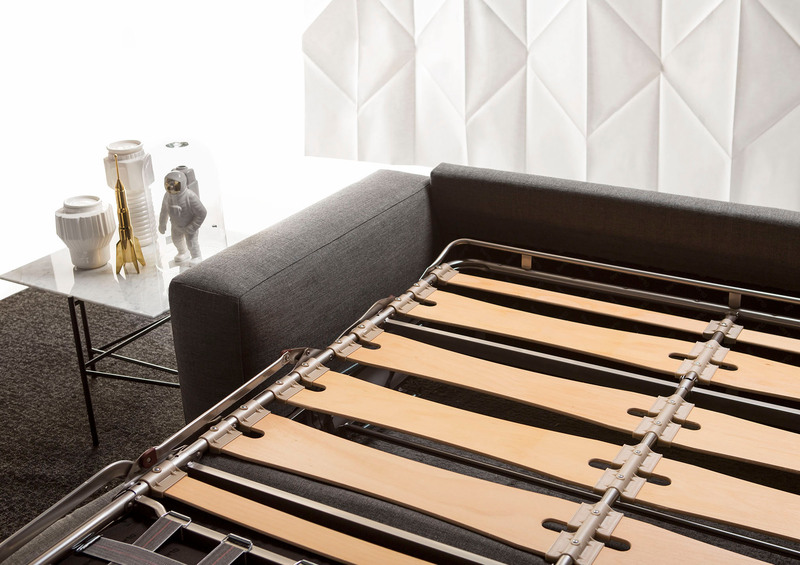 –mattress for sofa beds in lattice: H.12 cm, it is particularly indicated for those who suffer from allergies. It is made up of an internal layer in natural lattice foam with 7 areas of support, in order to obtain a differentiated compression according to the weight. The mattress in lattice requires more transpiration compared to the other models. It’s advisable therefore to turn it regularly so that it gets more air on both sides. 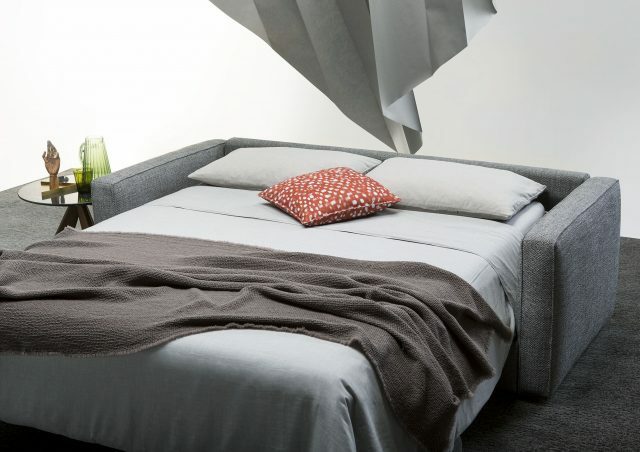 –mattress for sofa beds in memory foam: H.12 cm, it provides a semi-rigid support for exceptional comfort. The memory foam is positioned on top of a layer of polyurethane shaping itself to the form of the body without any compression. It is upholstered in antibacterial fabric available either with fixed or removable covers. –mattress for sofa bed with micro pocket springs : H.12 cm, the structure is formed of single micro-springs pocketed individually; the compression varies according to which parts of the body exert the most pressure so creating an ergonomic comfort. This mattress is particularly suitable for daily use. 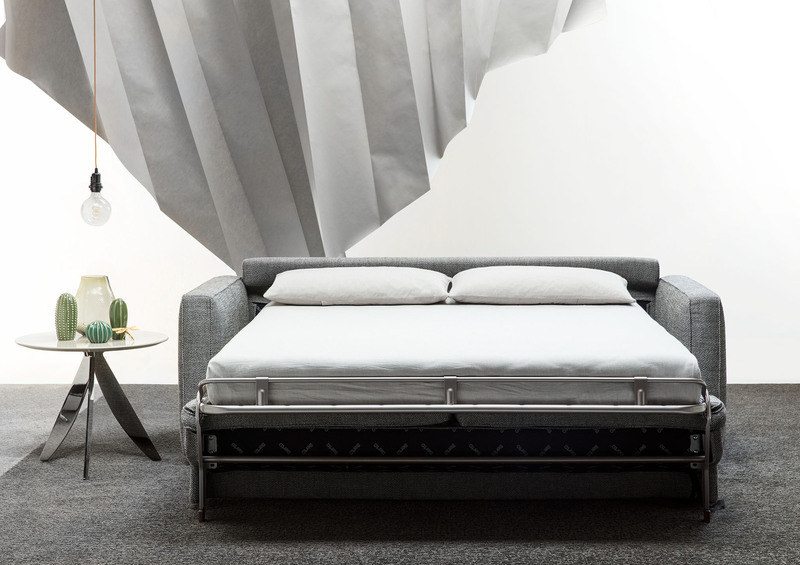 The sofa beds in the BertO Collection are available with a choice of mattresses: a spring mattress 18cms high or in polyurethane foam, pocket springs or memory foam. Do you want to know how to achieve your ideal furnishing project? Call us at number 0362-333082 or mail us at servizio.clienti@bertosalotti.it and have a chat with Maurizio, Arianna, Fabio, Donato, Andrea and Paolo.